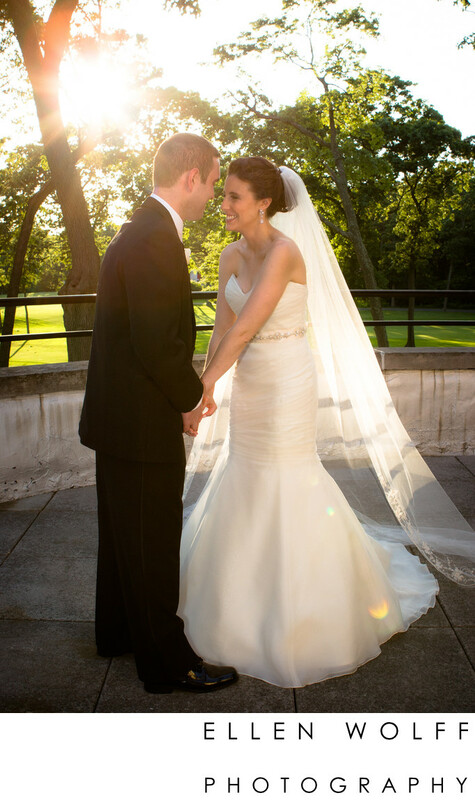 Muttontown Country Club wedding. This was taken right after the ketubah was signed. The room was filled with their parents, grandparents, aunts and uncles. It was hot and crowded inside and the bride and groom stepped out onto the balcony for fresh air. This was an unplanned photo. I love how excited they are. And how the light is filtering through her veil. Keywords: Kleinfeld wedding gown (9), Muttontown Golf Club (33).